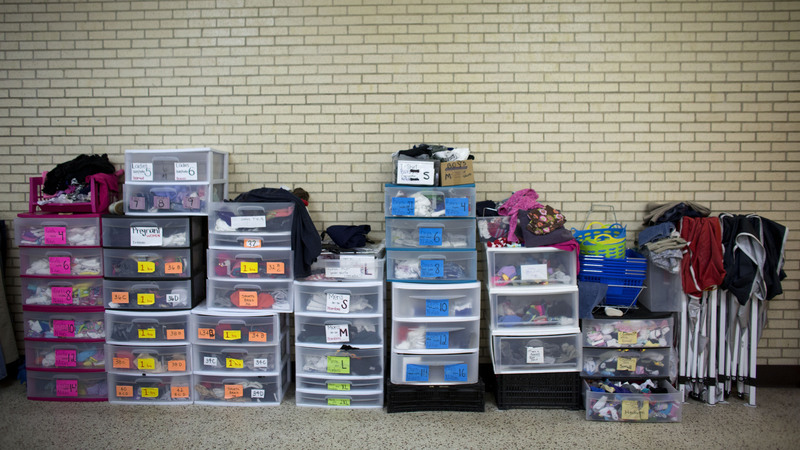 Immigration officials opened controversial family detention camps in south Texas. They publicized immigration roundups earlier this year, with more to come. A big U.S. public relations campaign is under way in Honduras, El Salvador and Guatemala, warning would-be immigrants they are not welcome. And recently, Homeland Security Secretary Jeh Johnson traveled to Central America to say it in person. “I am here today to send a message that our borders in the United States are not open to irregular migration,” he said. But that message isn’t getting through. That’s apparent in the parish hall of Sacred Heart Catholic Church in McAllen, Texas. Every day, it’s full of young mothers and children who’ve been released by the U.S. Border Patrol. They get a shower, clean clothes, a hot meal and supplies. Sister Norma Pimentel is director of Catholic Charities of the Rio Grande Valley, which runs the shelter. Immigration officials don’t seem worried about a repeat of the humanitarian crisis on the border that made international news two years ago. Caught unawares at the time, the Border Patrol packed dirty, bewildered young immigrants elbow-to-elbow into frigid cells. Today, the government has new family holding facilities, and unaccompanied kids are sent to well-staffed church camps. Yet the numbers are daunting. From last October to March, the U.S. Border Patrol averaged 330 apprehensions of Central Americans a day, according to an analysis by the Pew Research Center, an increase of 100 percent over the same time period a year earlier. While the swelling numbers don’t seem to alarm the Homeland Security Department, its border officers are clearly frustrated. Two weeks ago, the agents’ union president, Brandon Judd, testified at a congressional hearing. “What happens is if you are arrested in the United States and you ask for any sort of asylum, what we do is we will process you, and we will walk you right out our front door, give you a pat on the back and say, ‘Welcome to the United States.’ And they’re good to go,” he said. The Border Patrol ends up releasing the vast majority of family members it apprehends because U.S. court rulings restrict its ability to detain them. Chris Cabrera is a Border Patrol officer and union official in south Texas. He says all the families surrendering to seek asylum are distracting his member agents, when they should be chasing drug and human traffickers. “Our agents are so caught up with rounding up the ones that are turning themselves in, corralling them and getting them to the station, that we don’t have adequate resources to get the ones that are trying to get away,” Cabrera says. A top Homeland Security official in Washington, speaking on background, told NPR the agency is continuing the programs it has in place. These include deporting recent arrivals, detaining a small number of women and children, helping Central American countries fight crime, arresting human smugglers and giving money to Mexico to stop the immigrants in transit. The official stressed that the U.S. message hasn’t changed: Don’t come. If you do and your amnesty claims are denied, we will remove you. But inside the Catholic immigrant shelter on the border, no one seems to pay much attention to the government’s tough talk. Central Americans risk the journey because they know most of them will be admitted at the U.S. border and not locked up, as are immigrants from Mexico who cross illegally. Wendy Villanueva is from Honduras, traveling with her toddler daughter. The 21-year-old says they fled Colón Province when gangsters extorted her small clothing business and threatened to kill her if she didn’t pay up. Villanueva and her daughter took buses to the Texas-Mexico border and surrendered to U.S. agents on the international bridge at Brownsville. 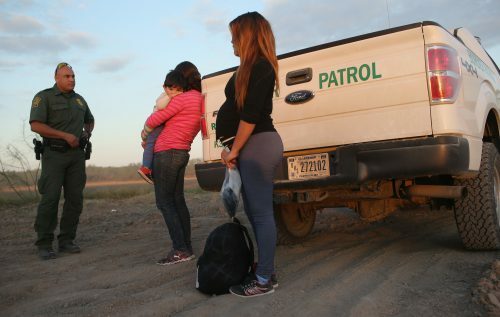 They’re headed to North Carolina to join her mother and sisters, who are also seeking amnesty. “According to our countrymen who are here, and from what they learned, we expect that the authorities will also give us permission to remain here,” she says, waiting to collect some new clothes and hygiene items at the shelter for the next leg of her journey north. For their part, immigrant advocates say the administration’s handling of Central Americans is already too harsh and it should make the asylum process easier, not harder. Ben Johnson is director of the American Immigration Lawyers Association. While the expectation of catch and release on the U.S. border is a powerful magnet for Central American immigrants, the push factor in their home countries remains horrendous. Earlier this year, El Salvador’s murder rate made it the most violent country in the world, edging out the former homicide capital, Honduras. This entry was posted in KRTS News and tagged Border, Border Patrol, Border Policy, Central America, Central American Migrants, Gang Violence, Immigration, Mexico, NPR, South Texas, Texas Border. Bookmark the permalink.